CITIZEN - MKE from Reggie Wilson/Fist & Heel on Vimeo. Using the same methodology he piloted at Lynden in 2015 to adapt Moses(es), Reggie Wilson will remake Citizen for a large, intergenerational cast of local dancers and community members. Citizen began as an exploration of the meaning of citizenship for iconic African Americans who chose (choose) to remain at home in the face of pervasive racism. What does it mean to belong? and What does it mean to NOT want to belong? were the questions at the core of his investigations. As he examined the questions raised by the human desire to belong, others arose: Do the injustices in today’s America engender a feeling of belonging? What supports belonging? Is belonging solely something internal, inside the individual? Is a sense of belonging, or not belonging, a private or a public matter? Wilson has been interested, since Citizen’s New York premiere shortly after the 2016 presidential election, in working with groups and individuals in Milwaukee to explore the question of belonging more broadly; this summer, he will include community members who are actively addressing citizenship in their daily lives. Like many of Wilson’s dances, Citizen privileges the kinesthetic over the cerebral, and makes a strong case for using dance to raise questions, express difficult ideas, offer alternatives, and provoke dialogues. This is a Call & Response event. WPCA Youth Participants: Kathaleya B., Aileen D., Anya D., Kevin D., Kiran D., Ollie G., Angelo J., Giovanni J., Penelope J., Anthony K., Sofia M., Adan M., Angelina P., Isabella P., Michael P., Zora P.
All performances of CITIZEN are performed in loving memory of our Carrie Wood and Thomas French. Reggie Wilson/Fist & Heel Performance Group is a Brooklyn-based dance company that investigates the intersections of cultural anthropology and movement practices and believes in the potential of the body as a valid means for knowing. Our performance work is a continued manifestation of the rhythm languages of the body provoked by the spiritual and the mundane traditions of Africa and its Diaspora, including the Blues, Slave and Gospel idioms. The group has received support from major foundations and corporations and has performed at notable venues in the United States and abroad. Milwaukee native Reggie Wilson (Executive and Artistic Director, Choreographer, Performer) founded his company, Reggie Wilson/Fist & Heel Performance Group, in 1989. Wilson draws from the cultures of Africans in the Americas and combines them with post-modern elements and his own personal movement style to create what he often calls "post-African/Neo-HooDoo Modern dances." His work has been presented nationally and internationally at venues such as Brooklyn Academy of Music, New York Live Arts, and Summerstage (NYC), Jacob's Pillow Dance Festival (Lee, MA), Yerba Buena Center for the Arts (San Francisco), UCLA Live, and Redcat (Los Angeles), Linkfest and Festival e'Nkundleni (Zimbabwe), Dance Factory (South Africa), Danças na Cidade (Portugal), Festival Kaay Fecc (Senegal), The Politics of Ecstasy, and Tanzkongress 2013 (Germany). Wilson is a graduate of New York University, Tisch School of the Arts and has lectured, taught and conducted workshops and community projects throughout the US, Africa, Europe and the Caribbean. He has traveled extensively: to the Mississippi Delta to research secular and religious aspects of life there; to Trinidad and Tobago to research the Spiritual Baptists and the Shangoists; and also to Southern, Central, West and East Africa to work with dance/performance groups as well as diverse religious communities. He has served as visiting faculty at several universities including Yale, Princeton and Wesleyan. Mr. Wilson is the recipient of the Minnesota Dance Alliance's McKnight National Fellowship (2000-2001). Wilson is also a 2002 BESSIE-New York Dance and Performance Award recipient for his work The Tie-tongued Goat and the Lightning Bug Who Tried to Put Her Foot Down and a 2002 John Simon Guggenheim Fellow. In recognition of his creative contributions to the field, Mr. Wilson was named a 2009 United States Artists Prudential Fellow and is a 2009 recipient of the Herb Alpert Award in Dance. In 2012, New York Live Arts presented a concert of selected Wilson works, theRevisitation, to critical acclaim and the same year he was named a Wesleyan University’s Creative Campus Fellow, received the 2012 Joyce Foundation Award for his new work Moses(es), and was named a Doris Duke Performing Artist. In 2013 Moses(es) had its NY premiere on BAM’s Next Wave Festival and continues to tour. Most recently, Wilson was curator of Danspace Project’s Dancing Platform Praying Grounds: Blackness, Churches, and Downtown Dance (Platform 2018) and created the commissioned work “…they stood shaking while others began to shout” specifically for the space at St. Mark’s Church-in-the-Bowery. Enver Chakartash (Costume Designer) is a costume designer and stylist for theatre and film. He is a company member of The Wooster Group where he has designed costumes for Early Shaker Spirituals and Early Plays (directed by Richard Maxwell). In addition Enver is a frequent collaborator with Tina Satter’s Half Straddle. With Half Straddle credits include costume design for Ghost Rings, Ancient Lives, House of Dance and Seagull (Thinking of You). Enver most recently designed costumes for Tony Oursler’s 5D feature film, Imponderable, currently screening at MoMA, New York. With Young Jean Lee's Theater Company he designed costumes for Straight White Men, presented at The Public, and the short film; A Meaning Full Life, screened at BAM. Yeman Brown (Performer) was born and raised in Tallahassee Florida. Yeman's passion for performing began as a child, where he performed in many local theaters and his church, Metropolitan Cathedral of Truth. After studying musical theatre in middle and high school, Yeman went on to receive his BFA from the Florida State University School of Dance. At Florida State, he performed works choreographed by Gerri Houlihan, Jawole Zollar, Dan Wagoner, and Alex Ketley. He also served as a soloist for the Tallahassee Ballet Company under the direction of Rick McCullough. In 2011, Yeman studied at the Ailey School as a summer fellowship scholar and performed works by Stephanie Batten Bland and Judine Somerville. Summer of 2012, Yeman ventured to the American Dance Festival where he performed works choreographed by Gerri Houllihan, Mark Dendy, and Reggie Wilson. Soon after, he was invited to join Reggie Wilson/Fist and Heel Performance Group while they were in residency at The Maggie Allesee National Center for Choreography (MANCC) in Tallahassee Florida. As a residential apprentice, Yeman participated in the early developmental stages of Moses(es). In the summer of 2013 he moved to Brooklyn, NY and considers himself blessed to have the opportunity to work with such beautiful artists who inspire him beyond belief. He hopes that every being in the entire world knows that they are fearfully and wonderfully made, and anything can happen if they dare to believe. Paul Hamilton (Performer) started his dance training in Jamaica at the Jamaica School of dance. Upon arriving in the United States, he continued his training at SUNY Purchase, where he studied with Kevin Wynn and Neil Greenberg. Paul also studied at the Alvin Ailey School of Dance, the Martha Graham School and Dance Theatre of Harlem. He has performed with Elizabeth Streb, the Martha Graham Dance Ensemble, The Barnspace Dance Company, Mauri Cramer Dancers, Ballet Arts Theatre, apprenticed with Lines Contemporary Ballet with Alonso King, and has worked with Keely Garfield. This is his fourteenth year with the Fist and Heel Performance Group, with whom he has performed, taught and toured, nationally and internationally). Hamilton is part of the original cast who performed the premiere of Moses(es) at BAM on the Next Wave Festival. He would like to thank his family and friends for their unending love and support. Clement Mensah (Performer) was born and raised in Ghana, West Africa. He moved to the Netherlands at the age of 11. After graduating from CIOS (sports academy) he went to Amsterdam School of Arts and graduated in 2008. He received a fellowship to study at the Alvin Ailey School in 2007 and became member of the Student Performing Group at the Alvin Ailey School while also apprenticing with Bill T. Jones/Arnie Zane Dance Company in 2008. He has also been part of the Francesca Harper Project, danced with Elisa Monte Dance Company from 2008-2010, performing nationally and internationally. Clement joined the Matthew Westerby Company in 2009 and led the hugely successful Project Poetry Live in partnership with the Litchfield Performing Arts, Connecticut. He has taught workshops and master classes at different institutions and schools such as Dance Wave in Brooklyn, NY, Alvin Ailey School, The Theater School in Amsterdam, Codart in Rotterdam, Artist-in-Residence at Dancers’ Workshop, WY and Bennington College, VT as well as teaching and assisting teachers at the Center for Advance Training (C.A.T.) at Trinity Laban. After receiving his MA degree in Dance Performance at Trinity Laban School of Contemporary Music and Dance in London, Mr. Mensah joined Reggie Wilson/Fist and Heel Performance Group in the fall of 2011. 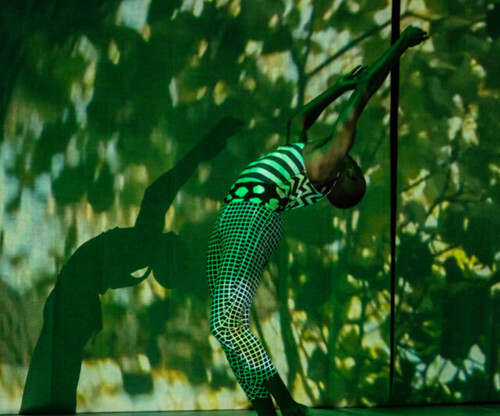 As a former member of Ronald K. Brown/Evidence A Dance Company, Clement has performed with the Limón Dance Company as a guest artist. He joined Battery Dance Company at the beginning of 2013 and is happy for this wonderful opportunity. Gabriela Silva (Performer) is a freelance Brazilian-American performer and choreographer based in New York City. She studied dance at the OrigiNation Cultural Arts Center, Boston Art Academy and University of Minnesota Twin Cities. Gabriela has performed with Selmadanse, Jean Appolon Expressions, Danza Organica, Quicksilver Dance and independent choreographers Peter DiMuro, Emily Beattie and Marina Magalhães. She has also worked as teaching artist for the Kroc Center, Community Art Center, Inquilinos Boricuas en Acción, Boston Ballet, Boston Public Libraries and Boston Public Schools. In 2014, she co-founded Costasis Arts Collective with Terina-Jasmine Alladin to support collaborations between local artists of color and community partners and presenters in an effort to diversify and expand arts engagement in Boston. She and Alladin presented their collaborative works, “I’ve picked and I’ve picked and I’ve picked; let fall” and “Oyá and Mari Jiwe” at RAW Boston, EMW Bookstore, Green Street Studios, Dance Complex and Aeronaut Brewing Company. That same year, Gabriela was selected to participate in a creative residency at the Institute of Contemporary Art in Boston with choreographer Reggie Wilson. The following year, she was named an Associate Artist at the Atlantic Center for the Arts, where she began her first independent choreographic project inspired by her on-going studies of Afro-Brazilian culture, under the tutelage of Reggie Wilson. Most recently, Gabriela trained, taught and presented her work at Sarayyet Ramallah in Palestine. Annie Wang (Performer) trained at Martha Graham School of Contemporary Dance and the Boitsov School of Classical Ballet. She has performed contemporary work by Carrie Ellmore-Tallitsch, Nicole Stanton, Pia Vinson, Asako Miyahira, Boitsov Classical Ballet Company, Dance Elixir, and MADart Productions, as well as classical/modern repertoire from Petipa, Fokine, Graham, and Duncan. Her choreography project, Hyperspace Dance, has shown at BRIC performance space, the 92Y, WestFest Dance Festival, Triskelion Arts, Hot Wood Arts Gallery, Sky Gallery in Gowanus, The Chocolate Factory Theater, and the schools of Alvin Ailey and Martha Graham. Annie is a BRIClab 2016 resident artist, a 2015 Associate Artist at the Atlantic Center for the Arts (where Reggie Wilson was a Master Artist-in-Residence), and a 2014 artist-in-residence at the Marble House Project in Vermont. Doug Varone selected her for his DEVICES choreography program in 2015. Annie was awarded a 2017-2018 Brooklyn Arts Council grant to develop her work, “Marigram”, a collaboration with Cairo-based dance artist Mohamed Yousry Shika and lighting designer Tuce Yasak. “Marigram” will be presented at BRIC and at the Five Myles gallery in 2018. Ann Marie Joseph (President), Rhetta Aleong, Carol Bryce-Buchanan, Joshua Sirefman, Reggie Wilson. The Milwaukee iteration of CITIZEN, and the Call & Response programming of which this residency and performance are part, were made possible through the generous support of the National Endowment for the Arts, the Greater Milwaukee Foundation, the Herzfeld Foundation, the Brico Fund, and Chipstone. CITIZEN was funded and made possible in part by the New England Foundation for the Arts’ National Dance Project, with lead funding from the Doris Duke Charitable Foundation and the Andrew W. Mellon Foundation, with additional support from the National Endowment for the Arts; with public funds from the Decentralization Program of the New York State Council on the Arts, administered in Kings County by Brooklyn Arts Council; Baryshnikov Arts Center; New York City Center Choreography Fellow Residency; Dance/NYC’s Dance Advancement Fund, made possible by the Ford Foundation. CITIZEN was co-commissioned by BAM for 2016 Next Wave Festival; Lower Manhattan Cultural Council and New York City Department of Cultural Affairs; and by An Offshore Creative Residency by The Yard. CITIZEN was made possible in part with a research and development residency and co-production support by The Hatchery Project, a multi-year collaborative residency partnership between RED Arts Project (Philadelphia, PA), Maggie Allesee National Center for Choreography at Florida State University (Tallahassee, FL), Vermont Performance Lab (Guilford, VT) and The Chocolate Factory Theater (Long Island City, NY) with lead support by The Andrew W. Mellon Foundation and additional funding by the National Endowment For The Arts; the Doris Duke Performing Artist Award Program. GOD; Ancestors; Ira Sutton Ewing; Lois J. Wilson, A’ntie C; A’nt Jean, Uncle Rev., Uncle Von, A’nt Wilma, Aba, Abba, David Wilson, Jr., Phyllis Lamhut, the cities of Bulawayo and Arima, Nomadlozi Khubeka, Thomeki Dube, Sotsha Moyo, Thamba Tabvuma, Nelisiwe Xaba, Tiziana Manfredi and Andréya Ouamba, Susan Manning, Jesse Wolfson, Lisa Nelson-Haynes, Mikki Shepard, Germaine Ingram, Ernest Mitchell, Tim Glenn, Jennifer Calienes, Sara Coffey, Craig Peterson, Sheila Lewandowski, Brian Rogers, Sarah Hyuck, Georgiana Pickett and the staff at BAC, David White, Joe Melillo and the staff at BAM, Ballet Memphis, Dorothy Pugh, the Charles L. Blockson Afro-American Collection at Temple University, Sophie at Lotus Arts Management, Elaine Flowers, Naoko Nagata, Jonathan Belcher, Traci Espinet-Marquez, Whitney Hunter, Judy Koon, Rhetta Aleong, Gerald Manwah, Catherine Edwards, Justin Knowlden, Ora Ewing, Gabriela Silva, Alice Bernstein, Margaret Ambrosino, Katherine Ramsey, Roger Young Holder, Diane M. Lukas, Martha Sherman, Marg Neset, Matti Brine, Ginny Milheiser, Lucia Kellar, Doug Doetsch, Melissa Benson, Mike and Tina Connelly, the Board of Directors of Fist and Heel, members of the Advisory Council, the performers for their time on this project, their commitment over the years, prioritizing and sacrificing and their relentless talent.